Hephaistos polishing the shield of Achilles. 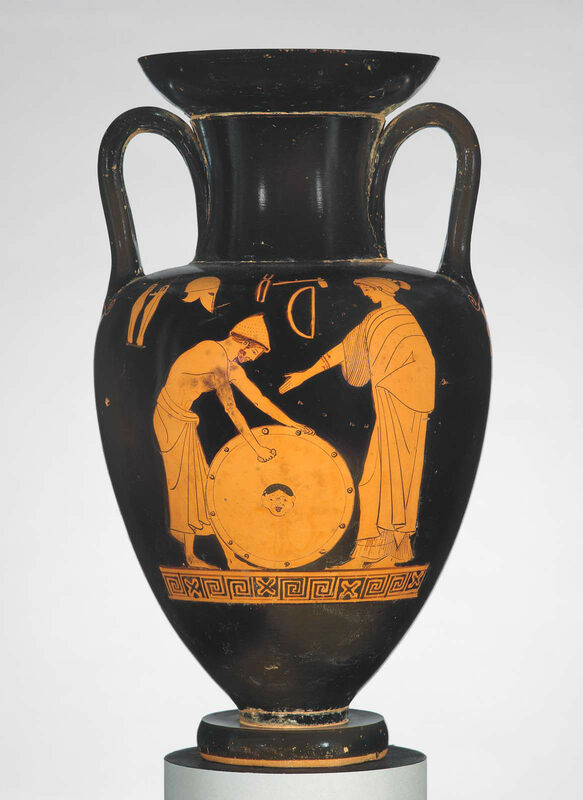 Two-handled amphora, ca. 480 BCE by the Dutuit Painter.